String Visors are lightweight and comfortable, they provide protection against the sun without getting in your way. They are perfect for any outdoor activities. Whether it is barbecuing or just lounging by the pool, you will enjoy wearing the visors. String Visors are perfect to wear outdoors if one wishes to be protected from the rays of the sun. Lightweight but durable, visors shield the wearer’s eyes from harsh sunlight, providing comfort while allowing the user to enjoy their time outside, whether they are playing sports, walking their dog, barbecuing, or simply taking a short stroll outside. 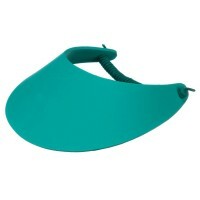 Visors include a rounded bill that is attached to straps which secure around the wearer’s head. The curve of the bill of the visor itself can be either flat or curved. Visors are a unique kind of head accessory due to their lack of a round cap; this only provides comfort as the wearer’s head does not feel weighed down. Along with that, string visors are made of airy material, only further adding to the lightweightedness of the accessory. 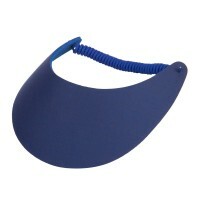 String Visors come in different solid colors, making them all the more fun to wear. String Sun Visors are perfect accessories for the hot summer months. They are made mostly from 100% cotton thus making them lightweight and comfortable. Wear them while doing any outdoor activities for adequate sun protection as well as style. There are many designs of String Visors that you can choose from but why not try the Classic String Visors? They are available in usual attractive hues like blue, white, black, and grey. With these classic string visors, you can never go wrong with your options. 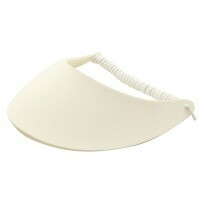 If it is extra comfort you are looking for, you can try the Clip On Visor . 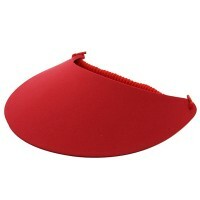 Some brims are made from 100% foam so there are no hard parts in the visor. This means that you can roll the visor so you can safely tuck them in your bag when not in use. For visors that can give you optimal performance, you can try the athletic cotton twill that features a sweatband that serves to collect sweat from your forehead thereby preventing them from falling on your face.